KT is back in the studio at 10 degrees remounting A Glimmer of Hope or Skin or Light on an all new cast of dancers for this seminal work returning to ACT Theatre's Bullitt Cabaret this fall. A Glimmer of Hope or Skin or Light is a dancer/theater/cabaret/glam-rock musical originally created in 2010 by choreographer/director and 10 degrees owner KT Niehoff. 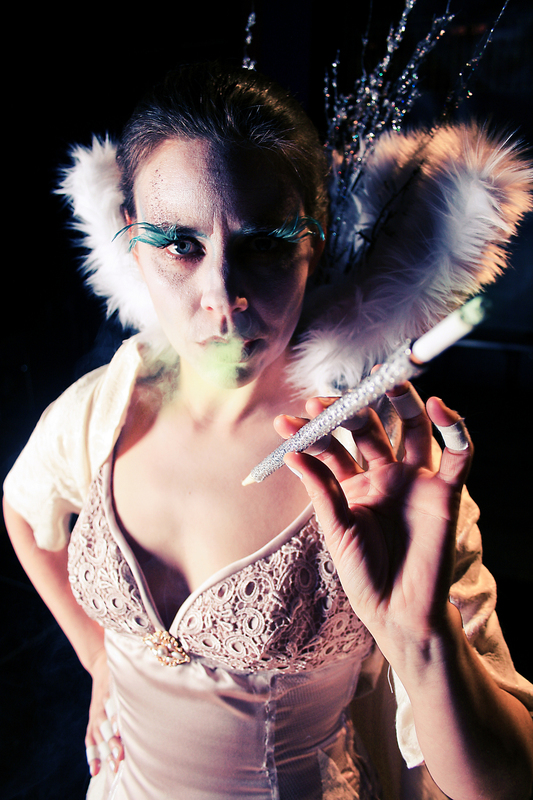 Co-Presented by ACT Theater and KT Niehoff with SQUID MGMT, Glimmer returns to the labyrinthine chambers of the Bullitt Cabaret as part of ACT's 50th Anniversary Season. Inviting the audience deep into the world of Glimmer, they are welcome to watch the show from any vantage point, moving as they wish throughout the performers. Full of uncommon encounters, raucous spectacle and virtuosic dancing, Gigi Berardi of Dance Magazine writes, "(Glimmer) is raucous, daunting thing...and unforgettable." The cast is comprised of five core dancers, seven showgirls and a rock band led by singer/songwriter Ivory Smith. Niehoff and Smith front the band, singing original songs that borrow inspiration from Pippin, Cabaret, and Moulin Rouge. Scott Colburn composed the moody and atmospheric pre-recorded score. Glimmer's entirely new cast includes Seattle personalities Meredith Salle, Amy Clem, Patrick Kilbane and Molly Sides (lead singer for Thunderpussy) - who Smith and Niehoff will be creating new songs for - as well as artists from Vancouver, NYC, and Portland.